Cancer is a disease that occurs in the human body when abnormal cells in the body get produced, these cells can be cancerous. Oral cancer most often appears on the lip, and usually your lower lip. The most common places that a dentist finds oral cancer in the mouth are on the salivary glands, on the tonsils, near the back of the throat, esophagus, or on the tongue. Dentists look for early signs & symptoms of oral cancer, and most times, they catch the growth of cancer before you would. It’s important that you know what they are so that if you spot any in your mouth, you know what it could be. Catching this disease early is crucial so if you see any signs or symptoms it’s important you see your dentist right away. Any sore on your lip or mouth that isn’t healing on it’s own. A lump in your neck or throat. Redness or white spots in your mouth or on your lips. Problems chewing, swallowing, or talking. Pain when trying to move your jaw. Losing teeth with no dental reason. Jaw swelling that affects dentures if you wear them. If you have any of these symptoms for more than two weeks we recommend coming in to get a screening. We can see if you are having these symptoms because of something more serious like oral cancer, or another reason, like if there is an infection, we can help clear that up as well. 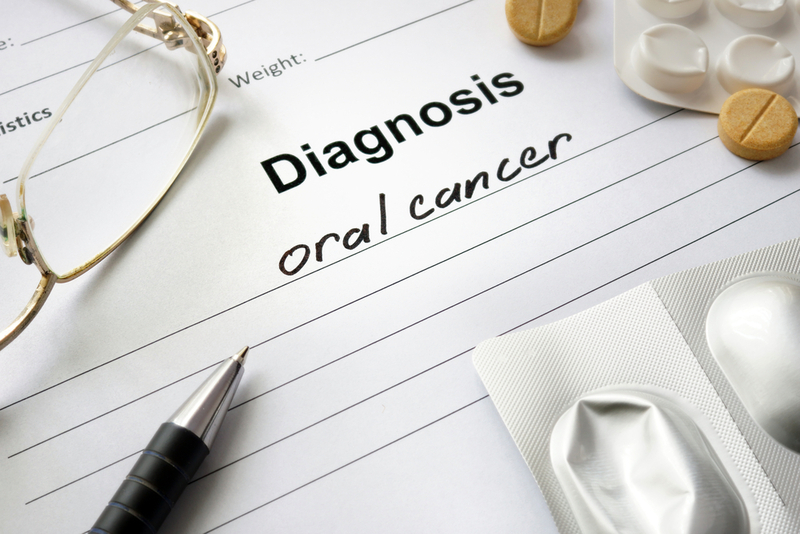 At Paradise Dental, we offer oral cancer screenings at every continued care appointment because oral cancer screenings are quick, painless, & they are essential to catching this at an early stage for a full recovery. To come into Paradise Dental you can call us at (781) 780-2246 or contact us on our website. If you think you could have oral cancer, don’t wait another day, come into our office so we can catch this disease at it’s earliest stage.